Ships from and sold by Cool-mall 2017. 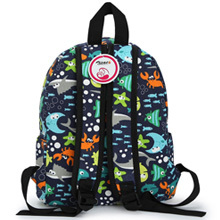 A cute backpack with colorful animal design for children. 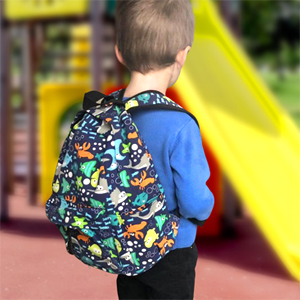 Comes with a top carrying handle and adjustable thicken and widen strap, more comfortable to wear. With a zipped main compartment, a small front pocket and medium size has two side pockets. Medium size: with side pockets, small size : no side pocket. Application: Traveling, leisure, vacation, sports for kids. 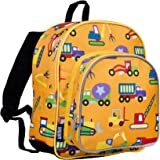 Small size: 21x8x26cm/8.2x3.2x10.2"(LxWxH), reccomended for 1-2 years olds. 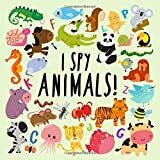 Medium size: 23x13x30cm/9.1x5.1x11.8"(LxWxH), reccomended for 3-5 years olds. Washing instructions: hand washing, cannot mix to wash nor brush. Enough capacity for you to put children’s toys, books, nappies, clothing etc. Made of premium printing canvas , wearproof and durable. Easy for washing as well. With a zipped main compartment, a small front pocket and two side pockets. My 2 year old loves this backpack! We’ve started using it as a diaper and snack bag instead of his big diaper bag. 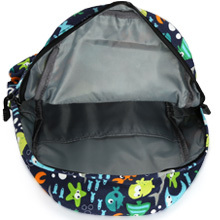 Fits a decent amount of things and is the perfect size for our toddler. 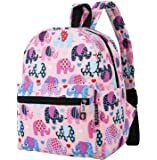 I ordered this backpack bc my 3 year old is in preschool. His 12 year old brother of course has a backpack. He asked, "Where's my backpack? He has so many. Me too, me too." To that, I couldn't say no. So a 20 minute Amazon search lead me to this great little "graph" style bag. I love it. He loved it as soon as it came out of the box. It seems well made. Very happy with the purchase. Will update if things change. 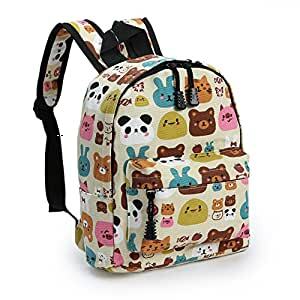 My diaper backpack's side zipper broke, and I was searching for a smaller backpack to put diapers, wipes, an extra set of clothes, small toys, etc. since I don't need a large diaper bag/backpack anymore. I purchased 2 of these. 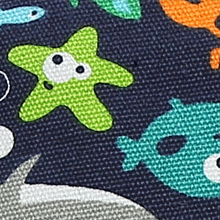 One of the fish print and the cream animal one, and they are ADORABLE and perfect size for our almost 2 year old and our 3 year old. It is exactly what I was wanting and seems to be made of pretty good quality (especially for the price). 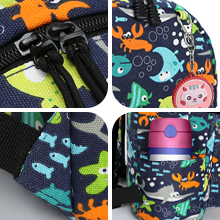 It has padded straps, a main pocket with a back pocket flap area, 2 side pockets, and a front zipper pocket. It is made of a thicker canvas material, and I am really pleased with it so far! 5.0 out of 5 starsVery pleased! This is adorable! Perfect size for my two year old and he’ll be able to grow with it for a bit too. So cute to hold an outfit and cup and snack. He’s going to love it! Five stars! 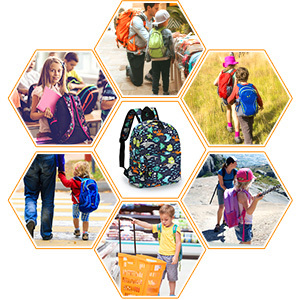 5.0 out of 5 starsGreat child’s back pack! I was pleasantly surprised at how good this back pack is! Purchased the medium for my bigger toddler to take on vacation and it was perfect. ample storage, quality canvas, nice graphics, easy to use and Saturday hardware. He loves it and now uses it daily.